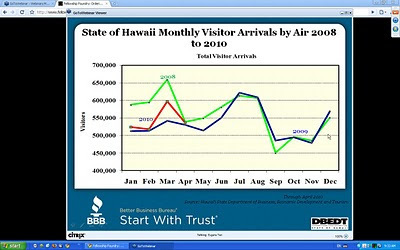 In a Webinar I attended today, put on by the Better Business Bureau, the consensus was that, although slow, the major economic indicators show that there is an upturn that will continue in 2011. 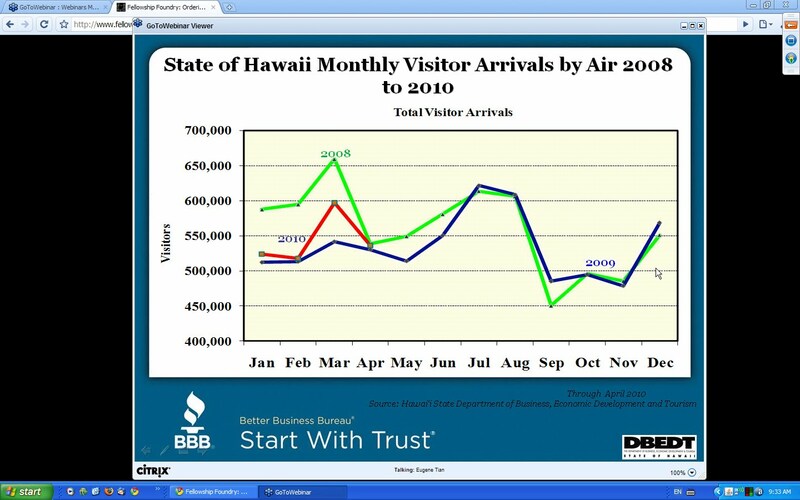 Visitor arrivals were down beginning in April 2008 and continuing in 2009 partly due to the folding of ATA and Aloha Airlines due to the high price of fuel and causing high prices while still making a loss of millions of dollars for the airlines. 2011 partly due to increased visits from Japan and a 50% increase from other Asia countries including Taiwan, Hong Kong, Singapore & China. 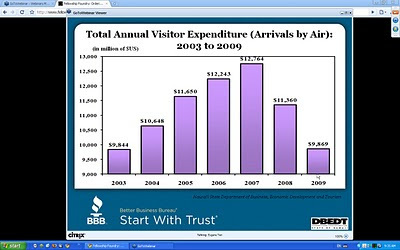 Japanese tourists postponed their vacations in 2009 to 2010, so from -5.6% decrease in 2009, we expect a +3.5% increase in 2010. We are expecting that the economy of Hawaii will show a steady increase in the coming years. The downturn caused many in the wedding industry to close up shop in 2009, but those who could weather the storm will be rewarded beginning in 2010. Although it's too early to tell how much, and it may take some time before we see the figures we saw in the hay-days of 2005-2007, we are expecting a positive note or the first time in a few years.